This post is sponsored by Tyson as part of the #TysonMadeWithLove campaign. As always, all opinions are my own. Thanks for supporting the brands that make Espresso and Cream possible! We’re just starting to get into the swing of holiday parties and events over at the Hofmeyer house. 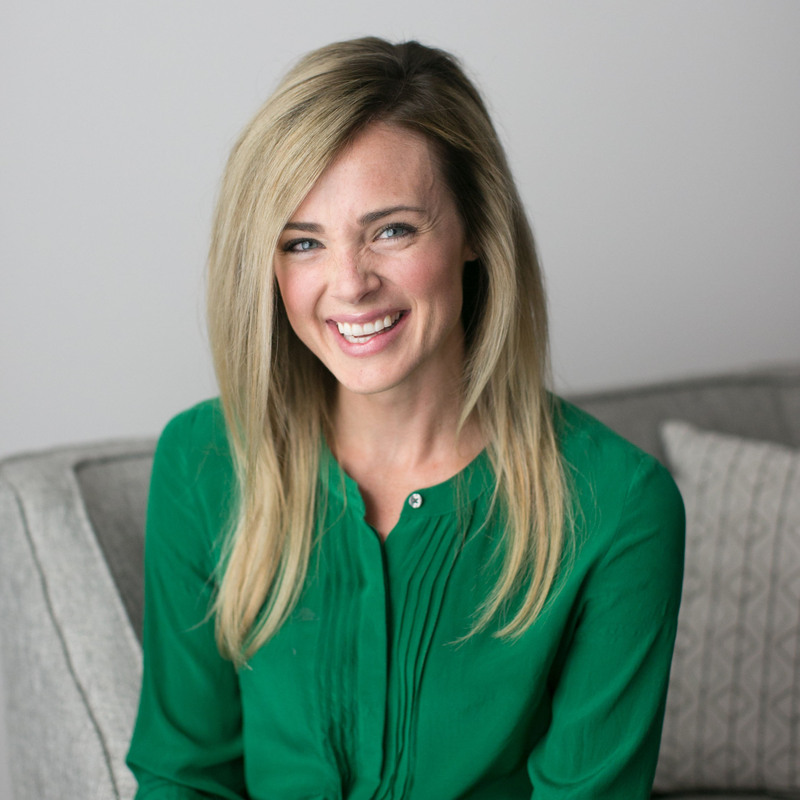 The introvert in me has mixed feelings about lots of holiday engagements, something that is entirely lost on my extroverted husband. Anyway…. 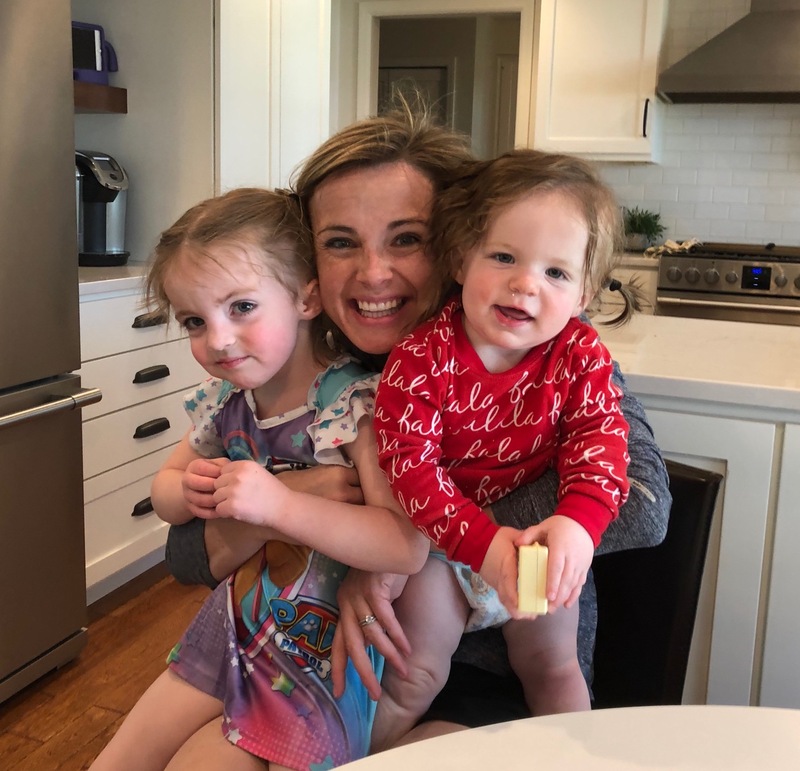 With two busy kiddos, general schedule craziness and holiday commitments on top of it all I’m always happy to have a handful of easy, go-to recipes I can whip together without a lot of extra stress or effort. Extra bonus points if the ingredients for those recipes can be kept in the fridge throughout the holiday season so I don’t have to run to the grocery store when I need to bring a side dish or appetizer. 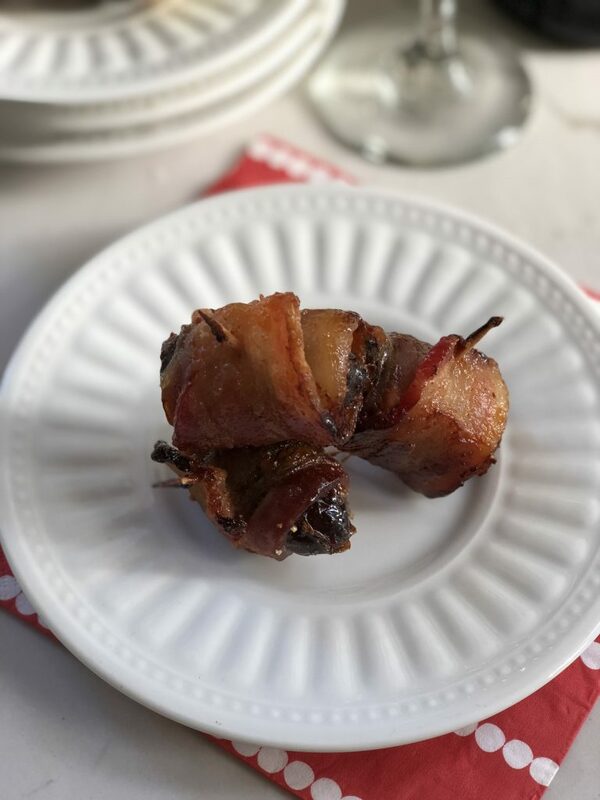 These Sweet and Spicy Bacon Wrapped Dates are downright addictive. 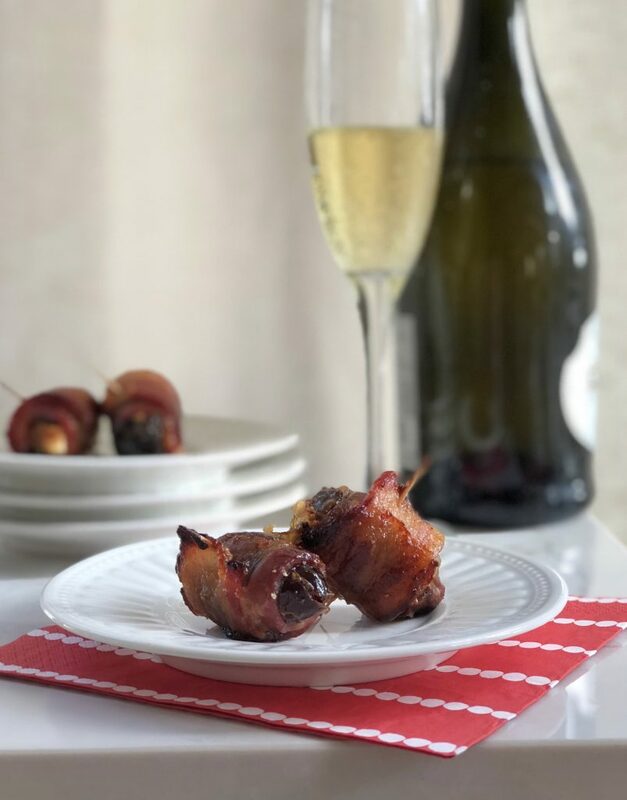 The perfect blend of sweetness from the dates and brown sugar, savory from the Natural Hickory Smoked Wright Brand Bacon and goat cheese and spicy from the hit of cayenne and black pepper. If you live in the Midwest where people’s spice tolerance is pretty low or you’re serving them to kids, I would suggest dropping the cayenne all together. 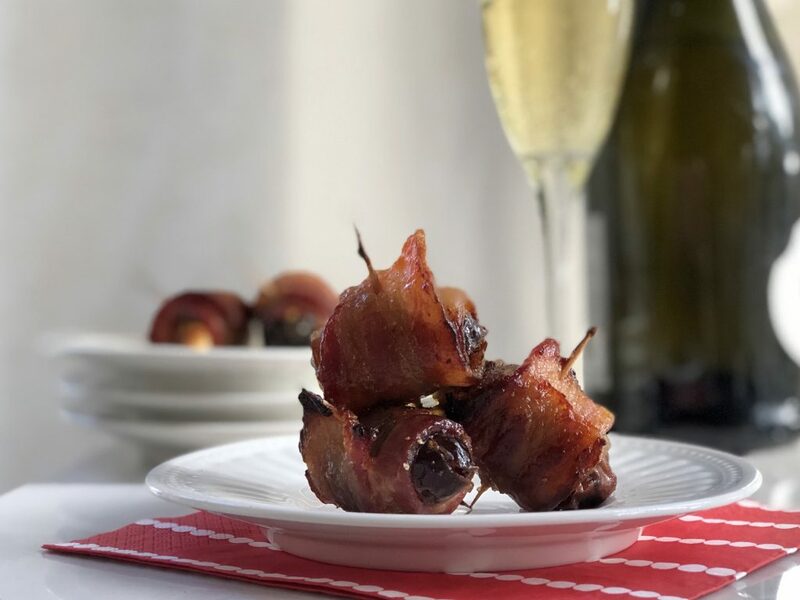 If you’re looking for a mouthwatering appetizer to take to your holiday parties, look no further than the recipe below! Cut a slit into the tops of each date. Stuff each date with some of the goat cheese. Wrap one of the pieces of bacon around each date and secure with a toothpick. 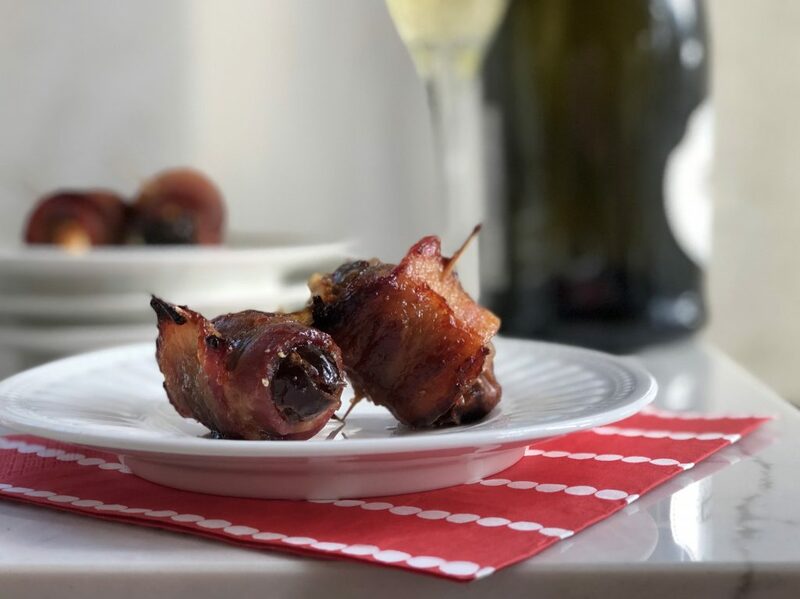 Roll bacon wrapped dates in brown sugar. Sprinkle with cayenne pepper and cracked black pepper to taste. Bake 15 minutes, turn over to one side, bake 15 minutes more. Turn once more and bake 15 minutes more. Remove from oven cool at least 10 minutes before serving.